Looking for a cool gift to give at closing or for a tournament. 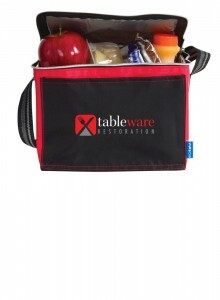 Cooler bags are a great way to present your logo or slogan to your target market. Holding 6 cans of pop or beer, these bags will keep your items cold if you put an ice pack in with the pop, food or beverages. Available in red, light blue, charcoal, royal, orange, apple green, yellow or fern. Front slip pocket, decorative tab reading Big Chill, striped shoulder strap reinforced with rivets, 6 can capacity, waterproof liner, holds ice. 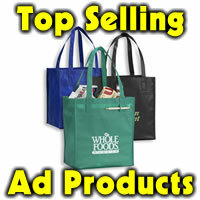 Material is 70 Denier Nylon , 8 1/2″ x 7″ x 6 1/4″. Imprint area is: 4- 1/2″ x 2- 1/2″. 50.00 set up charge per imprint color. Add .60 running charge for each additional color, per location. Weight 11 lbs. (approx.) @ 25 per carton. Why wait, order yours today. Free BIC all purpose lighter with each cooler order by June 29. 2010. Why wait, order yours today. Min 50 4.72 ea, 150 4.13 ea, 250 3.98 ea, 500+ 3.60 ea.